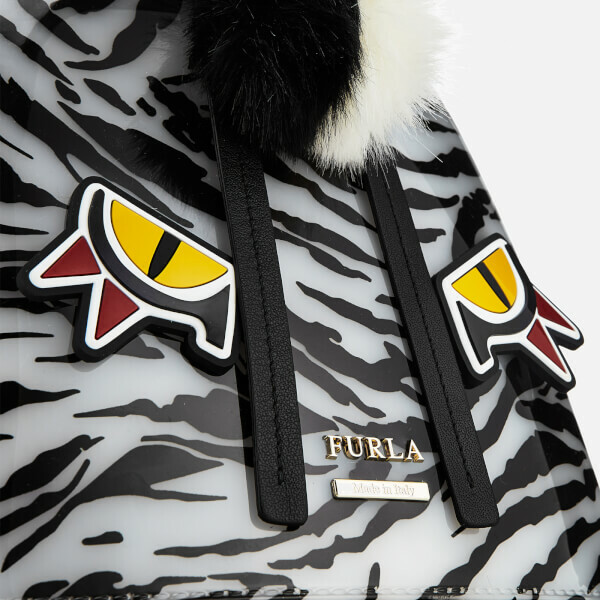 Mini backpack from Furla’s bold ‘Jungle’ collection. 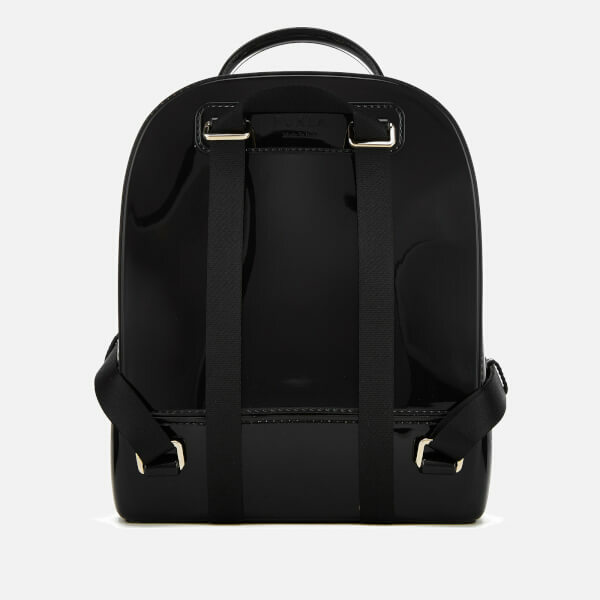 Made from glossy PVC, the backpack forms a quirky animal aesthetic, featuring a tuft of eco-fur and appliquéd eyes. Secured with a double zip closure with long leather zip pullers, the unlined main compartment offers an internal slip pocket and branded tab. 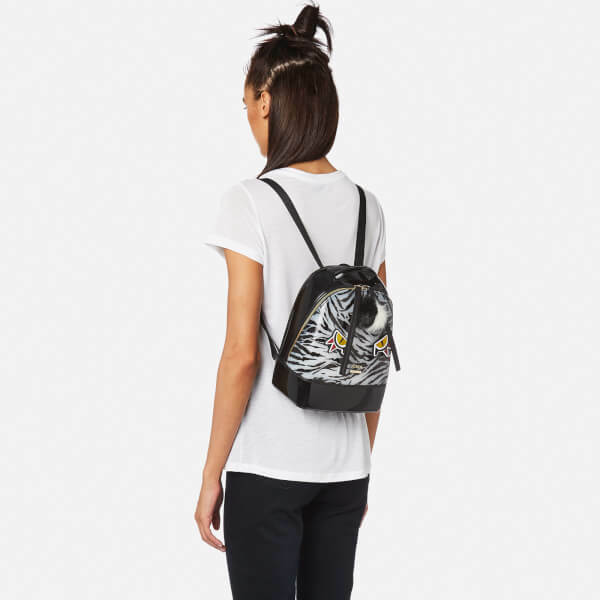 Transported via adjustable shoulder straps or a top handle, the backpack is finished with colourful print detailing, gold-tone hardware and metal Furla branding to the front. Dimensions: H: 25cm x W: 20cm x D: 11.5cm.